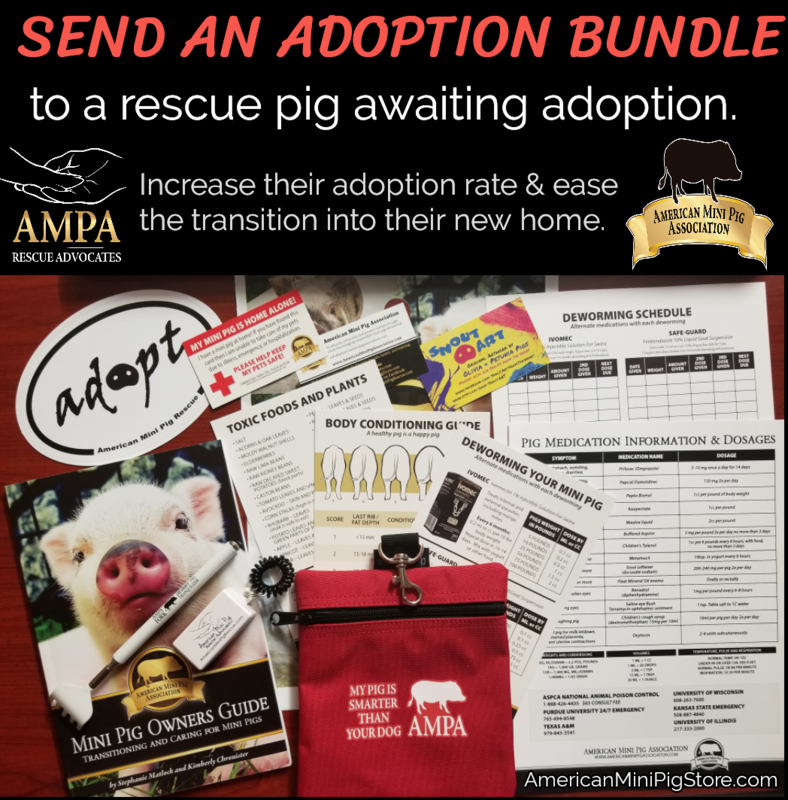 Adoption Bundles help families transition a rescued pig into their home. 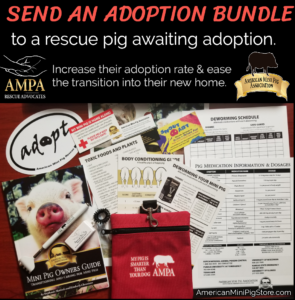 Order an adoption bundle to be shipped directly to a rescue organization to increase the success rate of their adopted rescue pigs. The AMPA – American Mini Pig Association & American Mini Pig Rescue Advocates are covering 65% of the cost as a contribution to the community. The remaining cost of $15-20 INCLUDES shipping directly to the chosen rescue organization. Donate a bundle to an adoptable pig at a rescue organization! 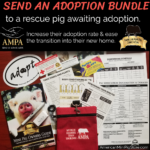 If you are a rescue organization that adopts pigs to families or individuals, please email [email protected] to be included in the Adoption Bundle Recipient list. It’s FREE to be included, simply send us your mailing address so we know where to send the adoption bundles. Then you can share with friends, family, and supporters that can order adoption bundles to be sent directly to your rescue.